With a variety of wood species and different color stains, and grades, we are sure to have the right selection just for you. Our professional sales staff will be happy to explain the features and benefits of one wood floor over another. As a Flooring Network retailer, we also carry engineered hardwood floors which are best suited for going over radiant heat and certain areas where moisture is a potential problem such as below grade installations. When visiting us hear at Joseph's Flooring be sure to take a look at our elegant and durable Bamboo flooring from WellMade® Bamboo. It has a soft, rich natural shade and the graining is amazing. A must see! Be sure to also view our selection of cork flooring from. 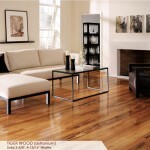 Joseph's Flooring has several exotic wood offerings which brings up our hardwood collection yet another notch. See us soon for the best selection in Hardwood Flooring! You will want to select a floor that coordinates with other objects in the room. (i.e. cabinets, counter tops, and fabrics) You will want the color you decide on to complement the style of your room. Lighter colors will make the room appear more open and lighter. While darker colors make the room feel more warm and cozy. Take into consideration the lighting of your room. The amount of lighting you have in your room affects how your floor will look. You will want to look at how much natural lighting you have coming in from your windows, as well as the artificial lighting in the room. It is great for D.I.Y.’s. You could install the flooring and move all the furniture back into the room that same day.